MWW has a lot to be thankful for this holiday season. The agency works hard to provide more than just a strong company to employees; we also provide a place where talented people can earn more than a paycheck and give back to their communities. MWW has a lot to be thankful for this holiday season. The agency works hard to provide more than just a strong company to employees; we also provide a place where talented people can earn more than a paycheck and give back to their communities. That's why every year, employees are eager to donate hundreds of hours, just in time for the Thanksgiving and Christmas celebrations, to help ensure that the holidays are memorable for local families. The Center for Food Action has worked with individuals and families in crisis for nearly three decades, and MWW has been a partner for at least a third of that time, helping the organization prevent hunger and homelessness. 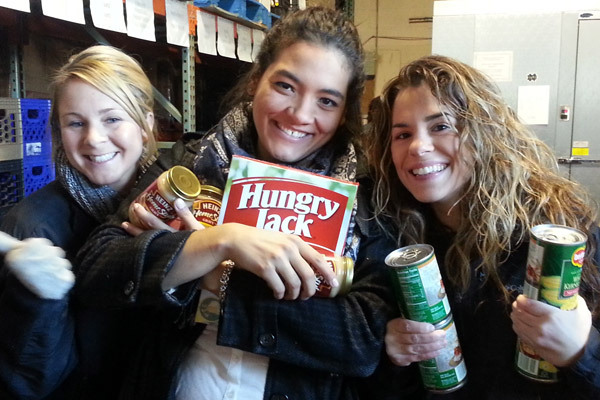 This year, MWW volunteers in New Jersey facilitated massive food drives prior to Thanksgiving providing food for more than 13,000 people. Colleagues unloaded, sorted, and bagged donated food for families all over New Jersey, including those affected by the devastation of Hurricane Sandy. As the damage of Sandy hit close to home, MWW New York and New Jersey team members mobilized to help. Employees donated blankets, clothing, sheets, toiletries, and bottled water along with their time. Several teams traveled to the Jersey shore to deliver these items to families in need. Perhaps Sandy has motivated more MWW employees to participate in another long running program in MWW's history, “Letters to Santa,” an initiative that brings cheer to hundreds of children in need during the holiday season. MWW teams up with local schools to pick letters to Santa written by children in need. Last year, MWW donated a total of 100 gifts, personally selected and delivered to schools, surprising children with their favorite presents that, due to unfortunate circumstances, their parents could not afford. In Sandy's aftermath, this program is more important than ever before. MWW is closing for the entire week of Christmas as a gift for staffers' efforts during Hurricane Sandy.